American Indians drank a tea made from the bark to treat coughs. The Ojibwe call this tree - Sugarbush. 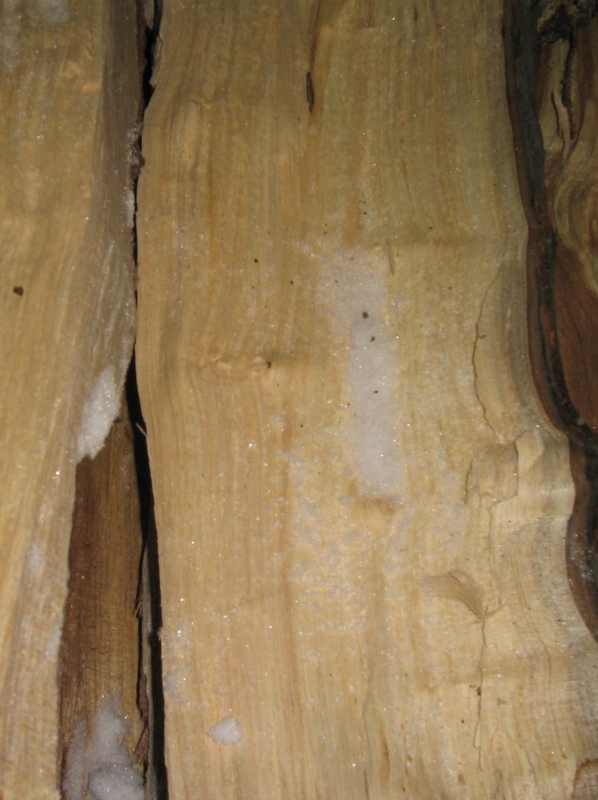 Many Indian tribes collected the sap and boiled it down to make maple sugar. European settlers made spools, plates and spinning wheels from the wood. They also used the bark for a tonic. Leaves were boiled to be used as a poultice for boils. Many people have planted these trees in their yards for shade and because of their beauty. 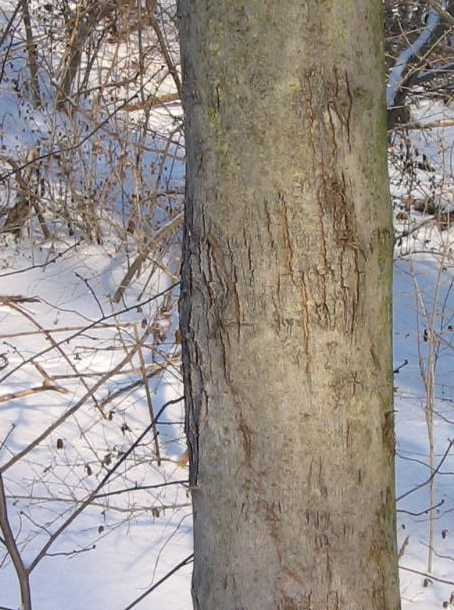 You may have been surprised to learn people eat the sap of maple trees. We call it Maple Syrup! New Englanders drank the sap as a spring tonic. Animals use the trees for shelter, nesting sites to raise their young, rodents and birds eat the seeds. Insects are attracted to the nectar of the flowers and the sap. Sapsuckers drill holes in the bark. They then eat the insects that are attracted to the sweet oozing sap. 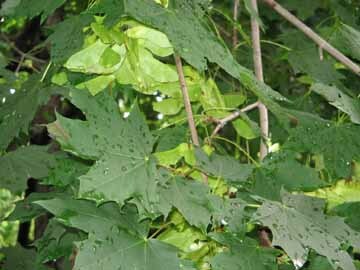 The Sugar Maples fruit is a pair of attached seeds with long wings to aid in spreading them. They swirl to the ground in "showers". The seeds are called keys. People have nicknamed them helicopters due to their spinning motion as they fall to the ground. 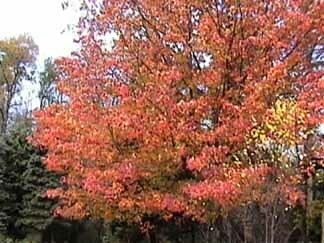 DO NOT plant invasive Norway Maple!